It is difficult to say how many cases of occupational asthma occur each year – the Health and Safety Executive thinks that its data sources substantially underestimate the number of people who are suffering from the condition, and the number of people who begin to suffer from it each year. Even so, the latest estimates suggest that there were anything between 8,600 and 13,000 people suffering from occupational asthma over the last three years. If you have developed asthma and this has been caused or exacerbated by your work then you may be able to recover compensation as a result. You might also help to prevent someone else from developing the condition. There is undoubtedly a lot to think about before you make a compensation claim like this. To find out more about what is involved, click on the links below, or give us a call on 0800 0891 331. 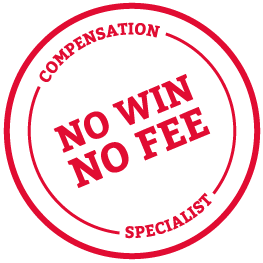 One of our specialist No Win No Fee lawyers will be happy to talk things through with you, free of charge and with no obligation. If you do decide to go ahead, our specialist compensation lawyers will assess your claim and discuss the best way forward with you. We have a large team of solicitors, solicitor advocates and other professionals specialised in pursuing lung disease compensation claims. We also have a team of experts, such as Consultant Physicians and Occupational Hygienists, who can assist with the evidence in the claims. Call us on 0800 0891331 and take your first step towards compensation.